We introduced the idea of lineup variance in the “Bankroll Management" course, and it's time we fully elaborate on this vital daily fantasy strategy. When talking about lineup variance, we are simply referring to the construction of multiple lineups (with different players) to limit risk and gain more exposure to potential breakout players. After all, on slates with a reasonable amount of games, it's hard to squeeze a fair amount of your preferred selections into one lineup. The discipline of lineup variance begins by recognizing primary and secondary plays within a given game slate. 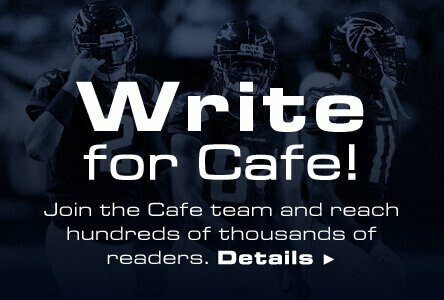 That is to say, after assessing the daily fantasy landscape, carefully scrutinizing the salaries, matchups, and other contextual factors, you have a list of players you love (primary) and like (secondary). The idea behind this is to start lineup construction with the primary players, using secondary options to fill in the gaps. You'll often find that the salary doesn't allow you to work all of your primary plays into one lineup. This is where assembling a second (or third) lineup comes in handy. That way, you can assemble another blend of your primary and secondary plays, ultimately limiting your risk (instead of going “all in" on one lineup) and gaining exposure to your other favorite players who didn't make the first cut. Typically, you'll end up with a core group of 3-5 guys you like for both lineups, then mixing and matching different combinations of your next favorite plays along the way. PRO TIP: Multiple lineup variations is particularly advantageous for large tournaments in MLB and NFL. Given each sports' volatile nature, it makes sense to throw several differentiated teams into a contest – improving your odds and broadening your exposure. The sample shown below is taken from an NBA game slate in February 2015. However, it can be applied to all sports (more on that later). I felt very confident in these guys at their respective price points/situations. Some nights you'll have more “core players", some nights you'll have less. It just depends on the game slate and landscape that particular day. From here, I'm looking for another combination of secondary value plays who can complement the core. 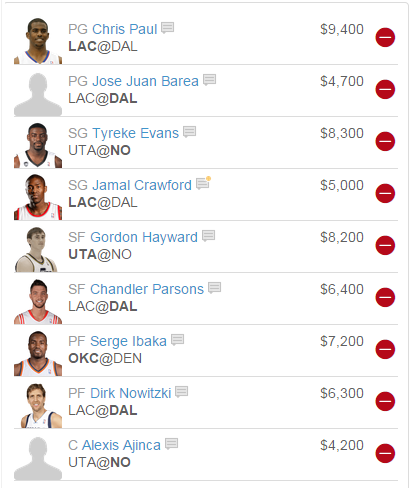 As you see in the second lineup, I inserted Gordon Hayward, Dirk Nowitzki, and Alexis Ajinca in their stead. I feel fairly satisfied with this lineup's prospects, as I was trying to work Gordon Hayward into my lineup that evening. I was able to fit him in without compromising the rest of my lineup in the process. Going back to item #3 in the “When to Use Less Lineups" list, the multi-entry strategy isn't for everyone. That doesn't mean people who fail to deploy it are inferior; they just have a different playing style. Beginners should slowly dip their toes into this water, as it can sometimes be difficult to maintain – especially in the wake of fast-breaking injury news (like in NBA). Constructing multiple lineups, especially a fairly heavy amount (for tournaments) can almost be considered an art form. For beginners, try practicing in free games or lower stakes to gain a sense of how to allocate you salary cap differently from lineup to lineup. A more natural lineup diversification tool happens when you play on multiple sites. 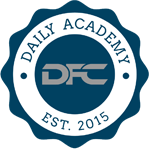 Each DFS site has their own salary system, and you can find players at different price ranges while comparing across the industry. This could naturally lead you to different a similar, yet different lineup from FanDuel to DraftKings. You could still maintain your “core players", but take advantage of bargains and pricing quirks to round out the rest of your lineup. For example, say you really like Peyton Manning and Drew Brees this week in NFL. You notice that the two are the same price on FanDuel, but Brees is slightly cheaper on DraftKings. It only makes sense to select Brees on DraftKings (with the discount) and Manning on FanDuel. This way, you are naturally splitting your action between the two, without creating multiple lineups on the same site. Feeding into that point, it's important to be price sensitive when creating lineups from site to site. Somebody who represents a great value play on FanDuel may not hold the same appeal on DraftKings or DraftDay. Be aware of their relative ranking within that positon and percentage of overall salary cap they require (along with roster demands and opportunity cost within the site). PRO TIP: It's very easy to play numerous sites for daily fantasy NFL games, as you essentially have several days to build lineups. MLB is somewhat favorable in this manner as well, usually allowing enough time to make small revisions as the batting orders come out. 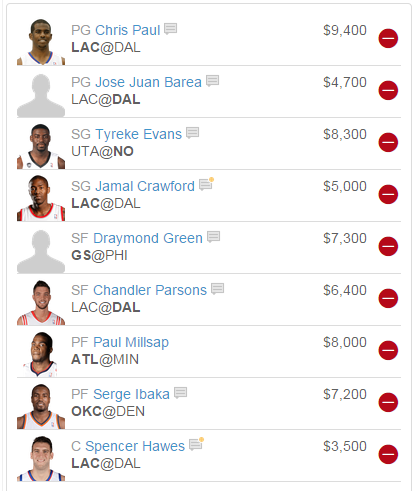 However, I wouldn't recommend playing more than 3-4 sites for NBA DFS (unless you are accustomed to doing so). Consequential injury news can break 10 minutes before lineups lock in NBA, and it may be impossible to make necessary revisions across a large number of sites.